Christian Pulisic has been ruled out of Borussia Dortmund’s Champions League match with Monaco on Wednesday after sustaining a calf injury. Pulisic, 20, featured in his side’s 4-2 win over Bayer Leverkusen over the weekend, but the club has since revealed that the American has “torn fibers” in his calf. 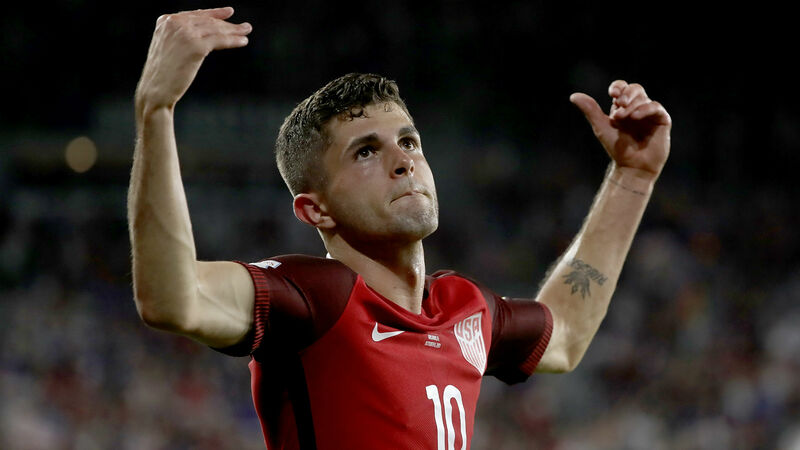 Depending on the severity of the vaguely described injury, Pulisic conceivably could be sidelined for USMNT matches against Colombia and Peru in the upcoming international window. If the injury is severe, it also could affect his availability for the U.S.’s matches in mid-November against England and Italy. Pulisic was a part of Dave Sarachan’s USMNT squad announced Monday. In a statement on its website, Borussia Dortmund also said that he is doubtful for the visit by Augsburg on Saturday. Dortmund is level on three points with Atletico Madrid at the top of Group A thanks to an opening win over Club Brugge, courtesy of Pulisic’s lone goal.